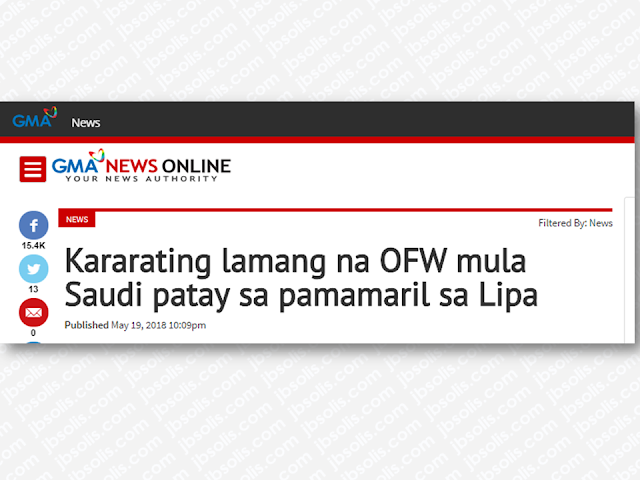 An Overseas Filipino Worker (OFW) who came home for a vacation from Saudi Arabia was killed just hours after his arrival in the Philippines by an unidentified gunman. at Barangay Pingkawitan, Lipa City, Batangas Saturday night after his arrival from the airport. 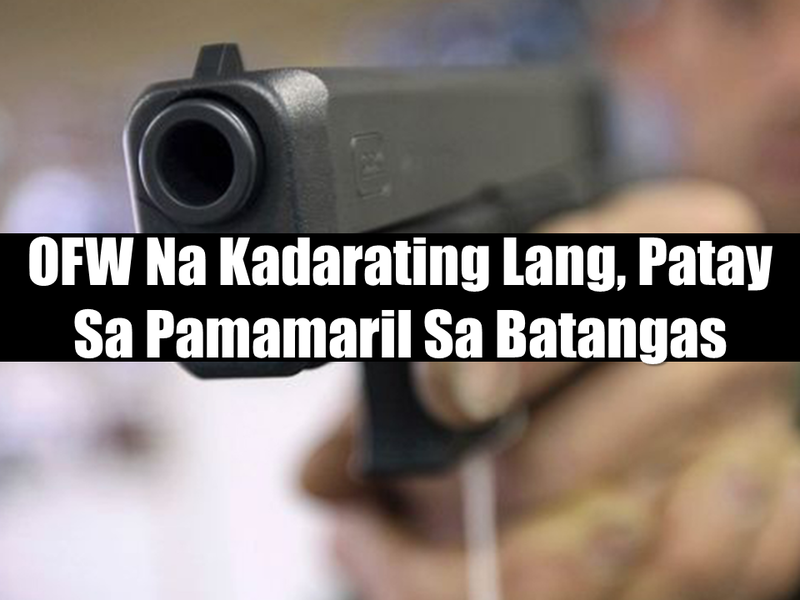 According to the report on Super Radyo DZBB, he was rushed to NL Villa Memorial Medical center but he was declared dead on arrival due to two gunshot wounds in his head. The shooting incident happened at around 8:20 PM according to the report. An investigation by the Lipa police authorities is ongoing for the arrest of the suspect. Why OFWs From Kuwait Afraid Of Coming Home? Why Saving Money Is Difficult For OFWs? Facebook Won't Let You Post These 8 Things!